Green Bluff, an amazing area just north of downtown Spokane beckons a visit to pick all manner of fruit and vegetables, feast on fresh foods, frolic at a festival or just enjoy a day in lush farm country. Over 33 family owned orchards, farms, ranches, wineries, and a cozy-country B&B feature a wide assortment of family style entertainment. You’ll enjoy activities as diverse as picking fruit, berries and vegetables to listening to live music in a variety of settings. Then there are the outdoor experiences of horseback events, navigating corn mazes, shooting pumpkins out of canons and hayrides. 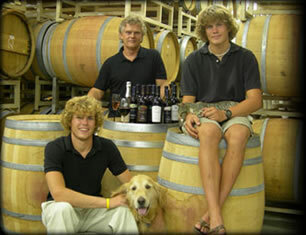 Educational opportunities range from viewing of the how-to-process of lavender essential oil distillation to sipping the latest vintages at several wineries. Small shops attached to many farms just wait for you to discover that unique gift, collectable, antique or locally made handcraft. 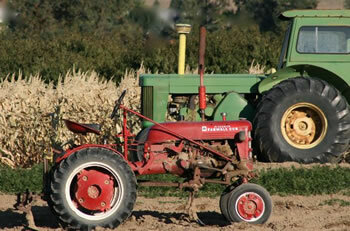 Everything you do or buy helps support a sustainable rural lifestyle. Don’t forget to come hungry! At the crack of dawn each day fresh pies made from the current ripe fruit rush out of the local kitchens. Salads and sandwiches feature the freshest of local products and homemade jams adorn fresh muffins. Several lunch spots will make sure you leave the bluff with a delightful full feeling! 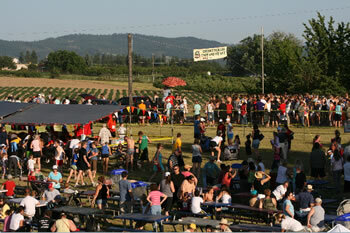 The annual Cherry Pickers Trot will wind you up and the Fall Harvest Festival will ease you into winter. Right before Christmas, drive on up to select and cut your tree at several farms where hot chocolate and the perfect family holiday memory await you. May is the spring start up of the activities at Green Bluff. Come out and appreciate the delicate blossoms. The trees are blooming, and it is an exciting occasion to celebrate and honor Mother by taking her to lunch and peruse the views. Bring Dad out for Father’s Day and enjoy picking a bounty of delicious strawberries! 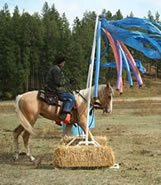 Participate in horse events on an Xtreme Trail course, visit the alpacas, stay over at the B&B, do a “grape-escape” at a wine tasting room, and take in the country pace and space. 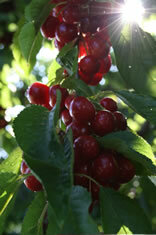 Tons of ripe cherries are available for u-pick or ready picked along with music and craft shows. The famous 5K Cherry Pickers Trot takes off with over 1,000 entries. 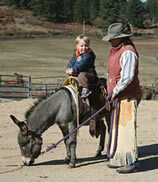 There is a Tot-Trot too and the only Pit-Spit west of the Rockies! Celebrate one of Green Bluff's great treasures - big, juicy, tree-ripened peaches! Delight in yummy peach ice cream, cobbler, and pies. No matter how you slice them, GB peaches are delectable. Add lots of other great food, live music, and family entertainment each weekend! This Bluff wide party is held over four weekends. 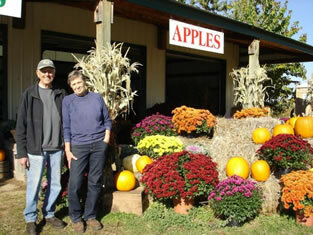 Enjoy a large variety of the best, fresh apples, and other marvelous local produce. 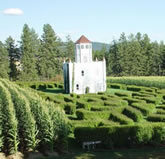 Do a corn or straw maze, go on a wine tasting adventure, farm-hop, and stay at the B&B. 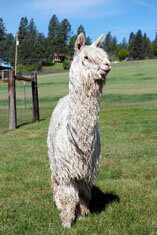 There is live music, a great variety of places to eat, craft booths, and petting zoos for kids. 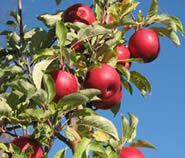 The Apple Festival continues every weekend, but the bounty has changed to other varieties. 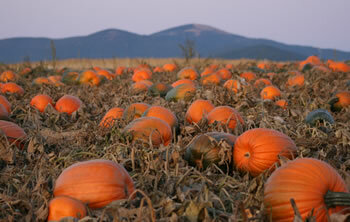 This is celebrated at all the orchards through pumpkin patches, corn mazes, hayrides, dances, and live music. Enjoy the fresh air and fantastic views. Make the trek to Green Bluff because the Christmas Tree farms are open for business! Come and make your family tradition of cutting your own tree. Many of the other farms are open for unique shopping and delicious meals. Experience an old-fashioned Christmas by coming to Green Bluff! It is a great place to create family traditions, take pictures with Santa, sip hot chocolate, select one-of-a-kind gifts and choose a handmade wreath. Venture up to Green Bluff. You'll be glad you did !